Product prices and availability are accurate as of 2019-04-11 03:07:55 EDT and are subject to change. Any price and availability information displayed on http://www.amazon.com/ at the time of purchase will apply to the purchase of this product. Learn Outdoor And Scenic Composition Techniques From A Master. 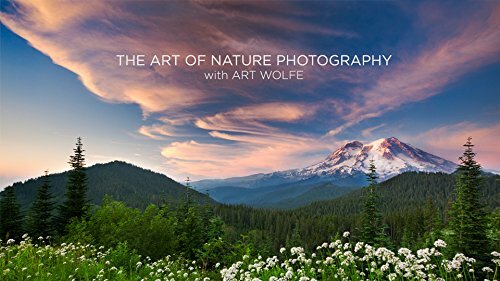 Join acclaimed nature photographer and instructor Art Wolfe for a day of instruction and inspiration. Drawing from four decades of work on every continent and over 80 books, Art will share how he finds inspiration and integrates his past experiences with his present day work. During this special one day course, you'll learn outdoor and scenic composition tips for nature photography from a master. Art will also share highlights and lessons from his award-winning television series ""Art Wolfe's Travels to the Edge."" The course will wrap up with a critique of images submitted by our viewers. If you have a passion for the great outdoors and want to capture that sense of wonder in camera, join us for this very special day of learning and inspiration with a true nature photography legend.